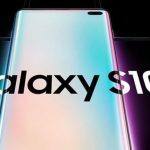 New Galaxy S10 and S10 plus have an amazing camera mod that captures large space in the rear camera. In just single click we can easily switch and turn on Wide Angle camera from your Galaxy camera app. Also here define how to apply Ultra wide lens correction that helps in automatically correct distortion in pictures taken with Ultrawide lens. according to automatic AI detection your picture with modified color saturation that gives the best picture quality, this is pro settings. Also we can enable Wide angle lens in selfie camera. so we can take a beautiful group selfies or large space in a background that helps to capture what you want. 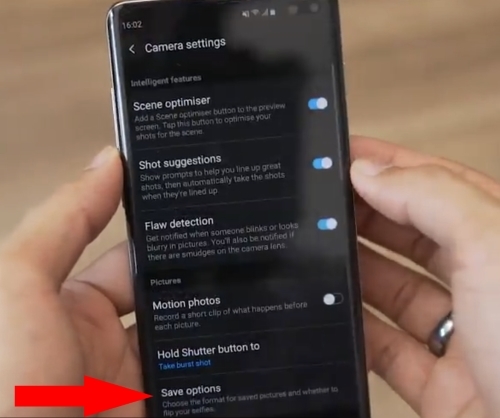 Before these settings, people are using the Google Camera port app on an android device that compatible mobile processor and Android version. Install the Google Camera port and follow the steps given in last of this video tutorial. 1: Open the camera app and go with default camera mode. 2: Next, Tap on Three leaves icon for extra zoom or large lens. and single leave for Minimum or low wide-angle area. That’s it. And the same settings you will find for front and rear camera. 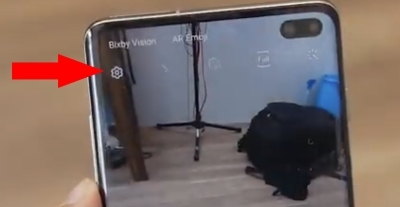 1: Open camera app on Galaxy S10/S10 Plus. 2: Next, Tap on the Settings gear icon at the top right corner of the screen. 3: Next to the settings option tap on Save options. 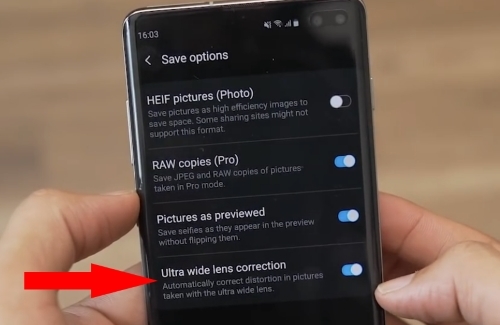 4: Next to Save options, Find the Toggle for Ultra Wide lens correction That’s it. 1: First, Download the latest Google Camera apk file. 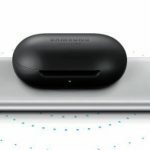 and install on your Snapdragon Galaxy S10, S10 Plus or S10e. 2: Also Download Config file, and save the settings (Extract this config file under the path => /internal storage/Gcam/Configs). 3: open the app and double tap on the black area next to the shutter button. And select restore. 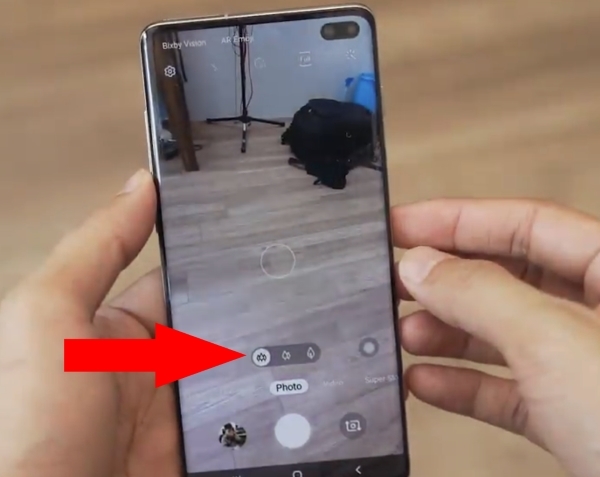 Now you can use Google camera on your Galaxy S10 and S10 Plus or S10e and capture wide-angle snap camera in free. Don’t miss to use these features in a public place that gives an amazing picture. Write back up and comment to me how this Wide-angle camera lens is useful for you.